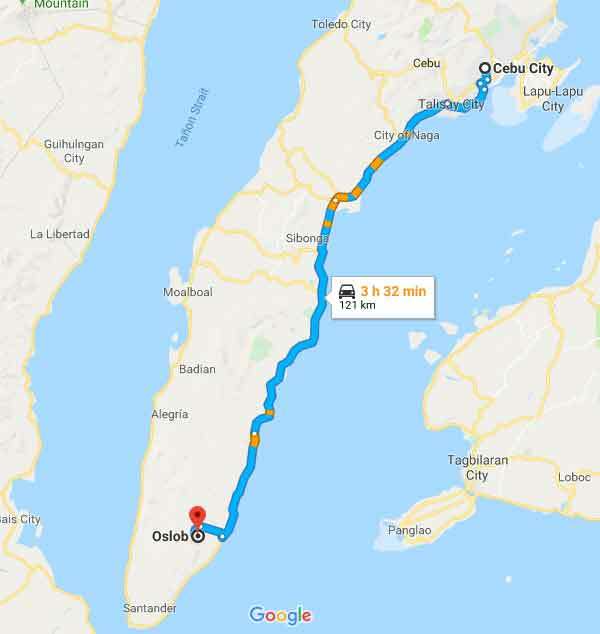 Oslob tour Philippines Cebu, When you visit the beautiful queen city of the south, Cebu City you might ask, Where can we go for the nearest and best adventure for the family or for the barkadas. And surely the first suggestion that you will get from the locals here is head of South and visit the beautiful place called Oslob. Oslob is located about 120km South from Cebu City. It would take about 3 to 4 hours of land travel to reach the destination. Oslob is one of the two destinations in Philippines famous for Whale Shark watching. It is a tourist magnet and over a hundred thousand tourists come here every year to swim with the whale sharks. 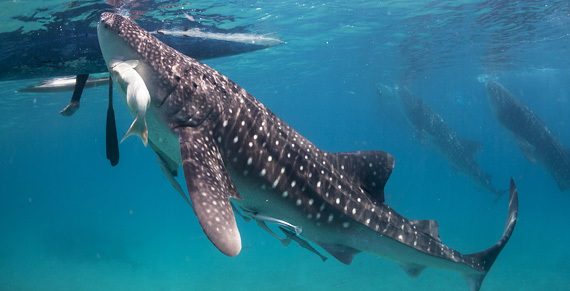 The activiy also has risen protests from nature cause oriented groups for feeding the whale sharks thus changing their natural migration patterns and behaviours. But the government of Oslob is making all means and ways to preserve the safety of both tourists and the oslob whale sharks or butanding. 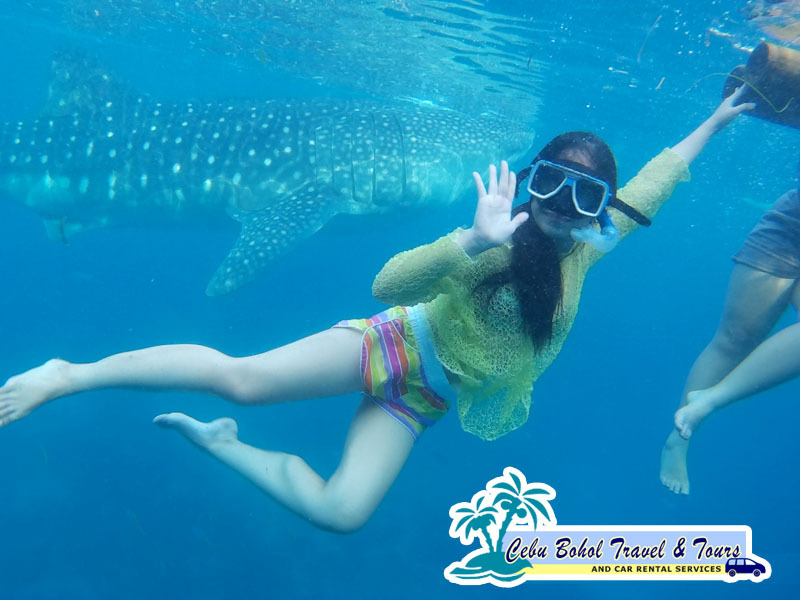 Oslob whale shark watching and swimming activity can be done in Tan-awan. Tan-awan is a a small town near the beach about 10 Kilometers from the town center. It has become a popular tourist attraction. Local fishermen feeds the whale sharks by hand and to the amazement of tourists while they swim and snorkel with the oslob whale sharks. It is strictly implemented that tourists are not allowed to touch nor feed the oslob whale sharks. Tourists are given a limit of about 30 mins. 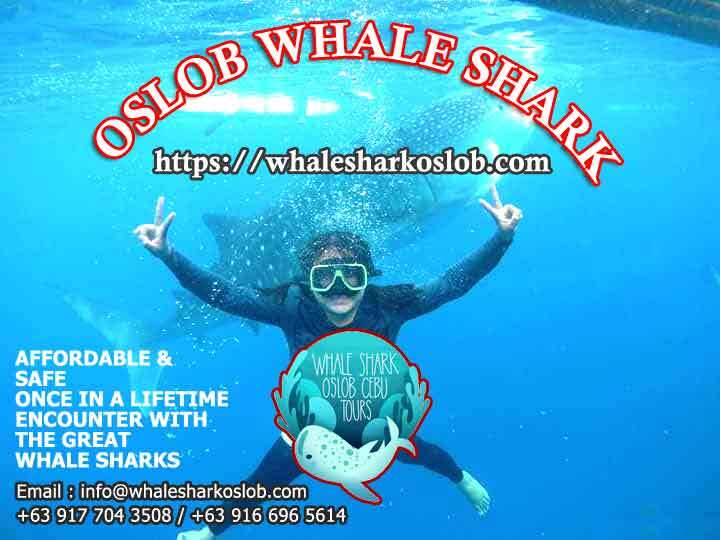 to swim with the oslob whale sharks unless otherwise arranged for a longer dive. Best place for Oslob tours. Only about 10 – 15minutes away from the Oslob whale site you can already visit a beautifully wide waterfalls called Tumalog Falls. 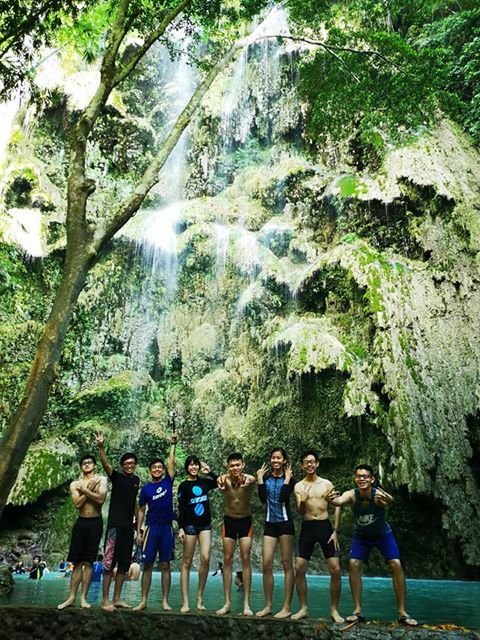 Tumalog falls is another must-visit destination in Olsob. It has a natural beauty. You can see century old trees surrounding the place. The cascading jump off rock walls makes the water in the falls drop like gentle raindrops. You can enjoy the view and dip in its very cool nature spring waters. Best place for Oslob tours. One of the most frequently visited island in Oslob is the beautiful Sumilon Island. 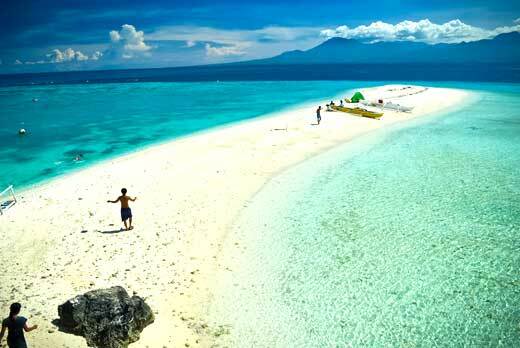 Sumilon Island boasts one of the longest widest pure white sandbar in the country. It is only a 24 hectare coral island. It is already maintained as a marine sanctuary. Sumilon means “take refuge” as it is an island where you can relax with its serenity and rich marine life. Diving is also a good activity in the area because of its untouched and beautiful coral reefs. Best place for Oslob tour. The structure tells you about the Spanish power and its regime in our island. It is part of Spain’s colonial structures that were built during their decades of Spanish rule in our country. It is said that it was constructed on the year 1898 and was left unfinished due to the arrival of the americans. The walls are made of coral stones. 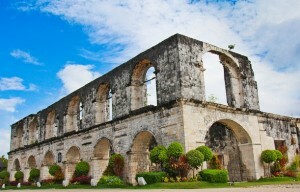 This structure is one the heritage site in Oslob. Best place for Oslob tour. Part of the Olsob tour is a visit to the “Baluarte” is a Spanish workd for the “Watchtower”. 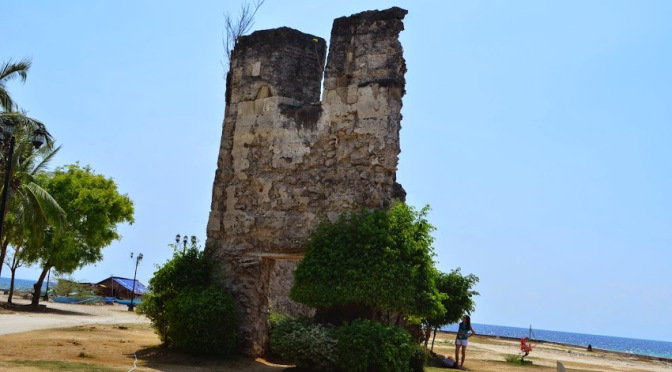 The Baluarte which can also be found at the Heritage Park of Oslob was built way back 1788. The Baluarte is used for guards to see and observe the surrounding area against any invasion via ship/war boats. It is also near the Oslob Baywalk. This is perfect place for relaxing and even watching the sunset. Best place for Oslob tours.